Homesteading is an attempt to create a lifestyle of self-sufficiency. It doesn’t necessarily mean moving to land in the country and becoming full-time farmers. Homesteading can be done in cities and suburbs. It can also be approached in small steps. For example, you can grow your own fruits and veggies, preserve some of your garden produce, collect rain water for the garden and other purposes, and so on. She also includes a link to two sources she uses to get free or cheap materials. This includes everything from wood, compost, mulch, plants and more. Another source is a foundation with individual state chapters where you can get materials that you need. This is a very helpful article with some great photographs. 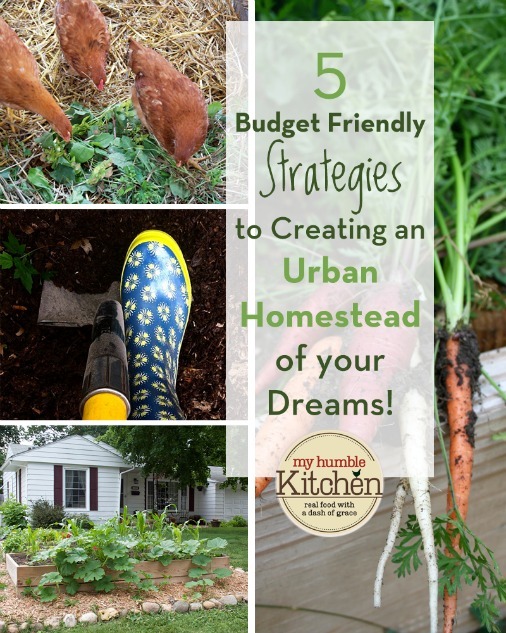 Click on the 5 Budget Friendly Strategies to Creating an Urban Homestead link below to read Diana’s article.